So it’s 1st June and we’re half way through the year so it’s time to figure out where I’ve got to in the year. So over all the first half of the year has been pretty good. I threw a surprise 70th birthday party for my Mum which was a huge success, one of my closest friends had a beautiful wedding, I got a new flatmate who’s great and had a pretty good contract role for most of the time and even got to go to Wellington a couple of times for work. I’ve keep this blog going with a fairly good level of frequency, started another blog related to my mental dreams and have plans for another one once I stop procrastinating. I’ve also finished writing the book I was working on and am well into the editing process. On the negative side of things well my last contract role was a disaster and now I’m not working which clearly isn’t great, and I’m in a real grump today because I basically didn’t sleep last night and my car failed it’s warrant of fitness so I’m going to have to pay to get it fixed. 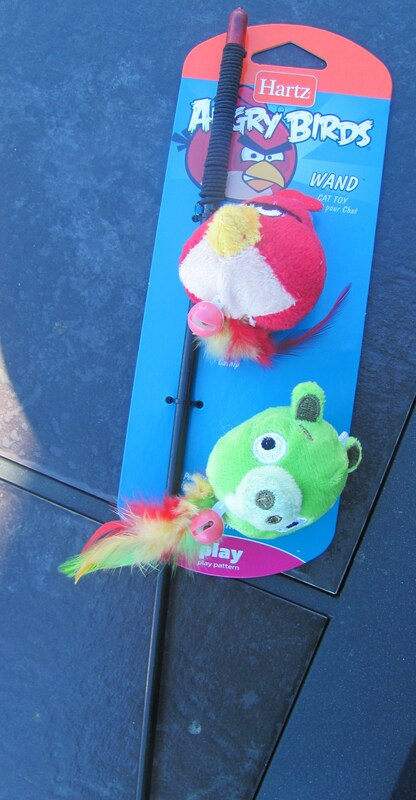 It’s an Angry Birds cat toy! How awesome is that?